David Yeung is the founder of environment-focused social enterprise Green Monday and Asia’s first plant-based grocer, Green Common. Below, he speaks to Hong Kong Tatler’s Chloe Street about his path to vegetarianism and how to stay green and clean in the city. Chloe Street: What inspired you to become a vegetarian? 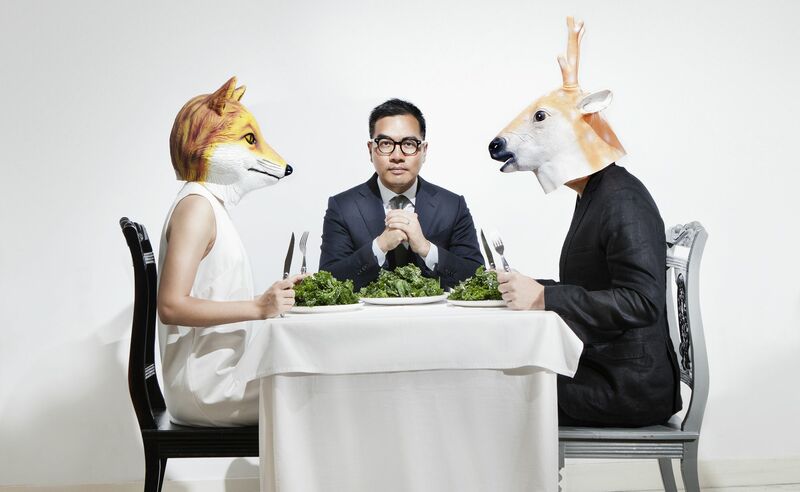 David Yeung: Personally, compassion for animals is the reason I turned vegetarian 15 years ago. “Animals are friends, not food” is a statement I say all the time. To me, compassion shouldn’t be selective or conditional. If we love cats and dogs and clearly won’t eat their meat, who decided it is okay to eat pigs, cattle, and chicken? CS: What's your favorite vegetarian dish in Hong Kong? DY: I love lion mane’s mushrooms (also known as “monkey head mushrooms”). Grassroots Pantry’s lion mane’s mushroom dish is one of my all-time favourites. CS: What are the health benefits you have felt in becoming vegetarian? DY: I feel lighter, more awake, more energized. A plant-based diet also does wonders to people’s skin. Most people think I look younger than my actual age, thanks to all the fiber, rich vitamins, and antioxidants that come with plant-based natural foods. CS: What words of advice would you give to anyone attempting vegetarianism? DY: Try a rainbow diet! Fruits and vegetables in purple, red, green, yellow and white all have different health benefits. It has been proven and well publicized that a balanced diet provides all the nutrition that our bodies require, while simultaneously helps prevent heart disease and cancer. CS: Where is the best place for fancy veggie food? DY: Globally, I would say Los Angeles. Crossroads Kitchen, Matthew Kenney’s Plant Food & Wine, Café Gratitude, Gracias Madre…these are all excellent choices for fancy veggie food. CS: What's your favorite vegetarian recipe to cook at home? DY: Sautéed kimchi tofu and pan-friend lotus root taro cake are among my favorites. Lately, my wife has also become very creative in using Beyond Meat, a nutritious plant-based meat substitute, in both Chinese or Western dishes. Even the biggest carnivores won’t miss the real meat after they try those dishes. CS: Have you successfully turned any of your friends veggie? DY: Sure! Numerous friends have become either full-time vegetarian or flexitarian. In fact, in Hong Kong alone, since the launch of Green Monday in 2012, 23% of the populations is eating more plant-based foods and have a vegetarian routine, whether it is one day a week, half time, or full time. That is a dramatic improvement from the 5% figure prior to our existence.